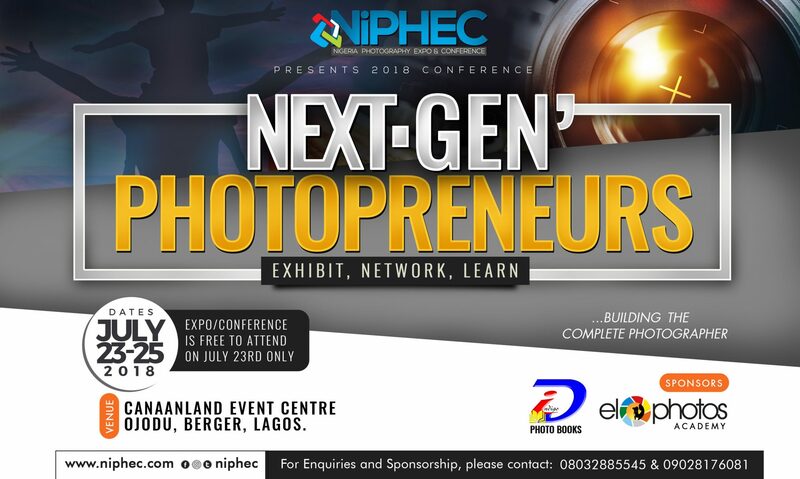 NiPHEC is an annual photography event for professionals, students, educators and advanced amateurs interested in the photography and digital imaging industries such as commercial, editorial, advertising, wedding, portrait and art photography, among others. With an expected attendance of over 10,000 people in 3days of exhibition, you’re guaranteed of getting your photography-related product/services to your targeted audience. A standard Exhibition booth (3metres & 2metres) goes for N350k for the 3days exhibition duration. Be part of the first 35 people to book a space and get a whopping 35% discount off. Offer valid only for the first 35 exhibitors or until February 28, 2013 (whichever comes first). NiPHEC 2013. April 29 – May 2, 2013. OUR PLACE, 7 Olufunmi Okikiolu Street, off Toyin Street, Opebi, Lagos State, Nigeria.